Today, I went swimming in an Argentinian palace. I'm still pinching myself and if my hair wasn't still wet, I might think it was just the most beautiful daydream. But I did. 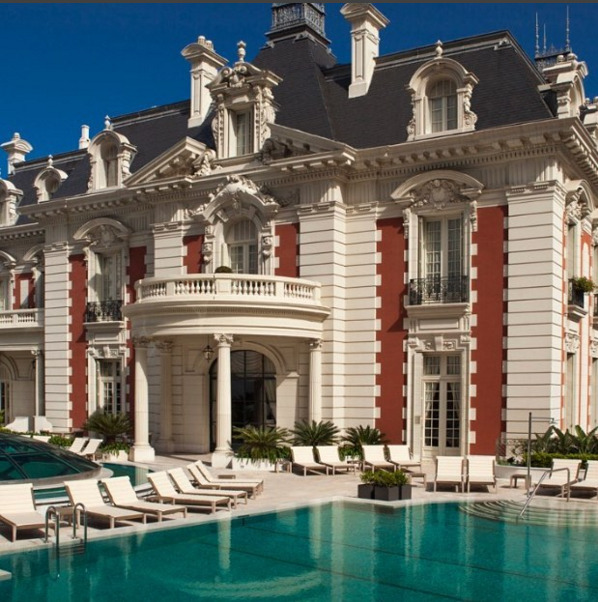 I swam in a beautiful old palace, the Palacio Duhau, Park Hyatt Buenos Aires—just blocks from our apartment. But then this morning, I ducked under some palm trees and walked through the glorious, imposing gates of the Park Hyatt. 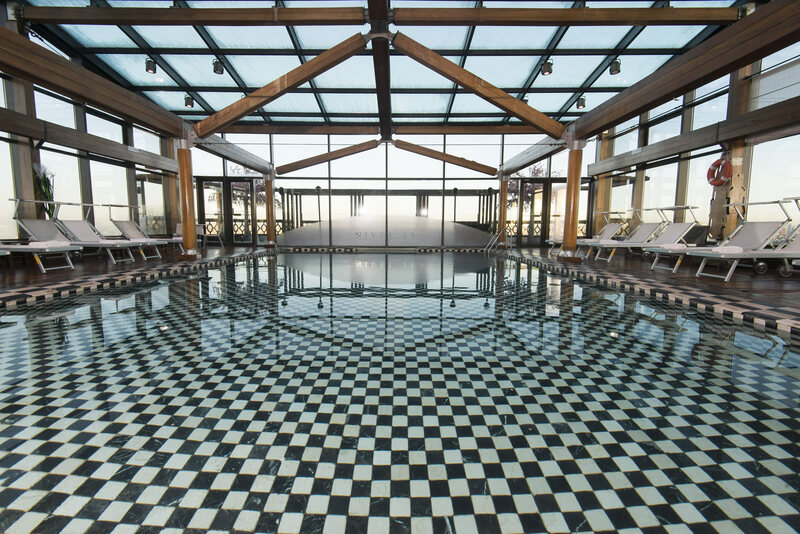 It's an enormous indoor pool with lights that shift depending on the time of day—from sunrise to after sunset. Most hotel pools are so tiny and dinky, made for splashing, not swimming, but this is a proper POOL. I watched a family of kids invent a pool noodle tag-like game and then swam length after length next to a fellow swimmer (chatting about swimming in my terrible Spanish!) I swam my heart out for a full hour before retreating to the hot tub AND sauna. It was positively glorious. I can't thank Luján and Paula enough for the wonderful dip. I can't recommend it highly enough! I love swimming (but you already knew that). And the only think I love more than swimming is travel-swimming! New pools! New lakes! New oceans! In four (!) days, I'm going to be packing up my suit and my little family and heading to Argentina for full-on summer and a tour of as many Buenos Aires pools as I can manage! On the very top of my list is the outdoor pool at the Four Seasons BA - the photo at the top. Please note: I will probably die from joy if I get a dip in! And this 30 HECTARE (!) pool extravaganza. THIRTY HECTARES OF SWIMMING! I can't wait! The Park Hyatt pool looks promising and there's an Olympic-sized pool just a bit outside of the city that I might try to venture to! We are also planning to find the ocean at some point too, because, well, I am part-mermaid and I need me some salt water. I've got a lot to do in the next few days, but I just keep watching the Olympics and staring at photos of Argentinian pools. The only things I have packed so far are airmail envelopes, a picnic blanket and goggles, but that's all I need, right?! P.S. : if you have any other must-swim BA pools, let me know!